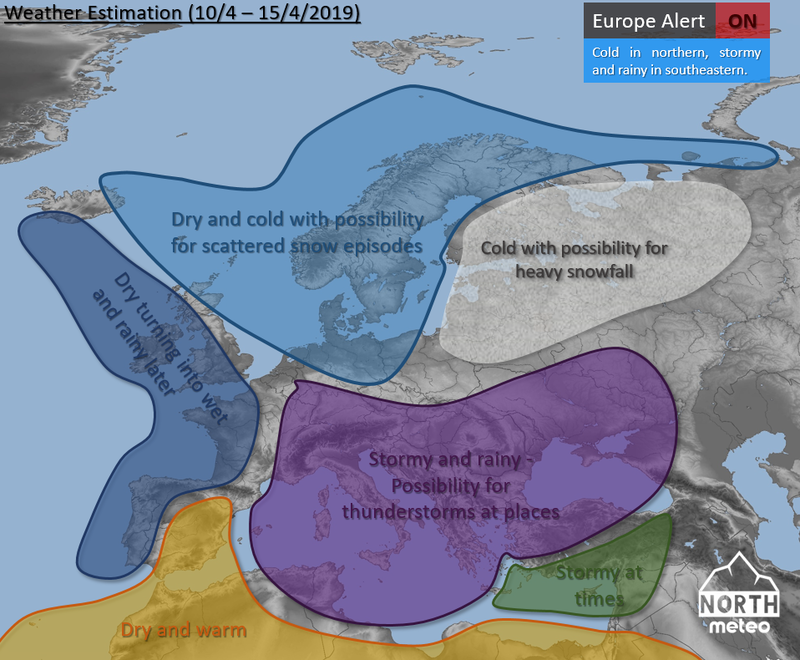 Cold weather is expected in northern Europe and rainy/stormy in southern on 10-15/4/2019. 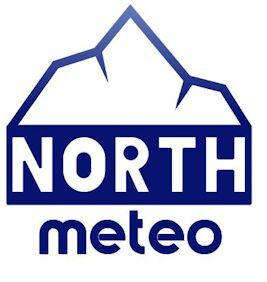 In particular, in the northern of the UK and continental Europe and the western of Scandinavia, the weather is expected to be dry and cold with chances for light snow showers or sleet. However, region of eastern Scandinavia and northeast Europe will face cold conditions with chances for heavy snowfalls at times. In the rest of the UK, western France, and north-west Iberia the weather will be dry and possibly slightly warmer than average at the beginning, but rainy later with strong winds at the northern areas. In the central and eastern regions of the Mediterranean Sea, the weather is expected to be rainy and stormy with possibility for heavy rainfalls at times especially at western coasts of this area. The southeastern regions (green area) will face similar weather but with more frequent sunny spells. Finally, dry and warm weather will affect south and eastern Iberia. 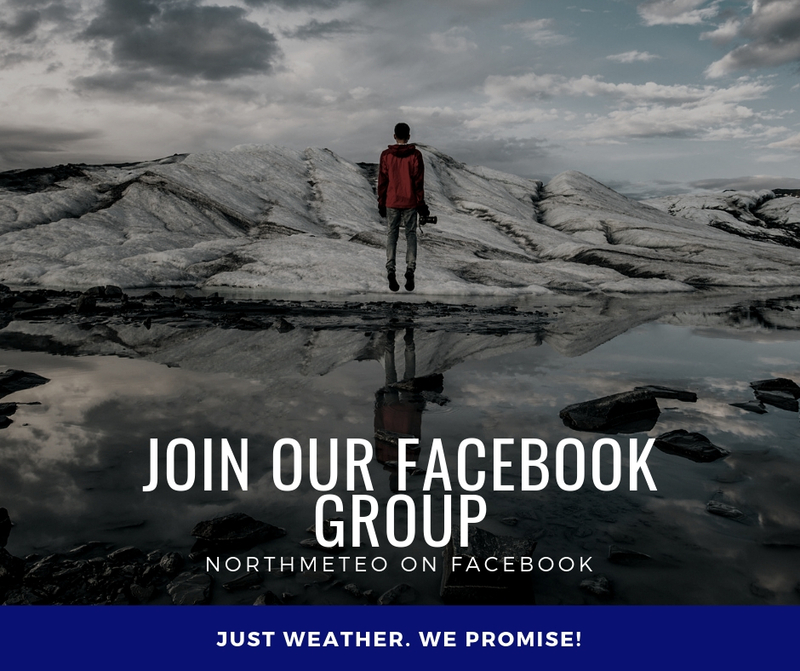 You can stay informed about the weather following our facebook group and youtube channel.